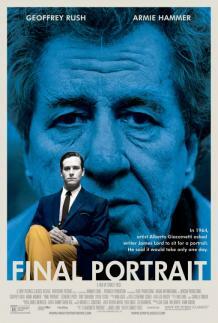 If you've ever dreamt of exploring an artist's studio and observing them go about their work then Final Portrait is for you. Written and directed by actor Stanley Tucci, this modest film takes us inside the studio of 20th century Swiss Italian sculptor and painter Alberto Giacometti (Geoffrey Rush) as he attempts to paint a portrait - something he claims will only take a couple of hours, but which remains unfinished to this day. Well, according to the artist. 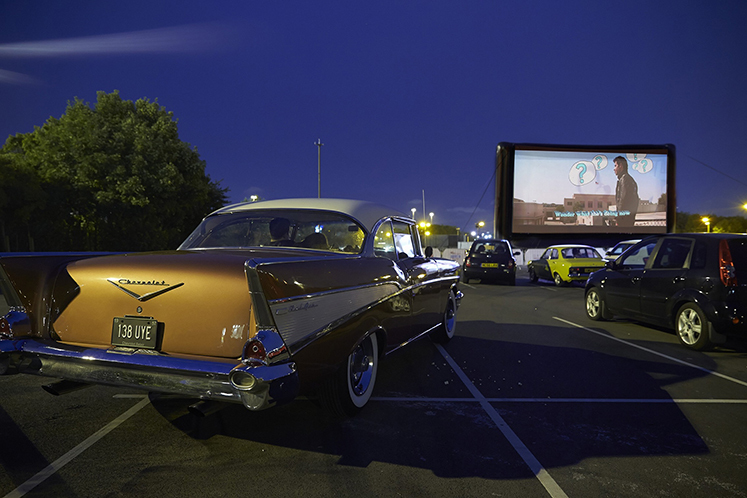 His subject is American author and art critic James Lord (Armie Hammer), with the screenplay based on Lord's book. Rather than try to capture Giacometti's entire life, Tucci observes the artist at work during three weeks in Paris in 1964. It's plenty of time to examine Giacometti's complex personal relationships, his influences and working style, and lack of interest in fame and fortune. Critically acclaimed and commercially successful (which isn't obvious from his basic living conditions and plaster and paint strewn studio), one of the more interesting revelations is Giacometti's view that a work is never complete - even the striking, emancipated figures for which he became world famous. Giacometti's inability to complete the work becomes an issue for Lord, constantly postponing his return to New York. Lord is too polite and respectful (in contrast to Rush's wild-haired, impulsive and grumpy depiction of Giacometti) to suggest Giacometti gets on with it, but he does make a gesture of frustration every time Giacometti stops the portrait, yelling "oh f**k". Much to Lord's dismay, Giacometti repeatedly starts again. A lovely sense of humour punctuates this restrained film; Lord and Giacometti are wildly different people but there is a fondness that's captured through their witty barbs. There's also a sense of intimacy, with the film mostly set in Giacometti's beautifully art directed and authentic studio, with Lord thrust into Giacometti's private life as he juggles his wife (Sylvie Testud) and mistress/muse (Clemence Poesy). Final Portrait isn't a definitive take on Giacometti, but it's not meant to be. Instead, Tucci presents an engaging overview of the artist, undoubtedly one that will inspire viewers to continue their own exploration of a fascinating character.